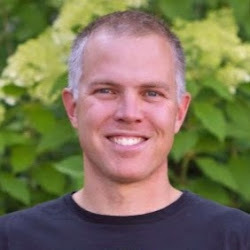 Intro from Pete: Guest reviewer George Harris is a 58 year-old runner from Manteca, CA. He’s been running for 36 years, most of that as a soldier in the US Army. George currently runs 70-75 miles per week, many of those miles in Hoka One One shoes. George has previously reviewed the Hoka Rapa Nui Comp here on Runblogger – here he shares his thoughts on the Hoka Kailua Tarmac. The Hoka Kailua Comp is the road version of the Rapa Nui Comp (which will apparently be renamed as the Kailua Trail) and will be known in the US as the Kailua Tarmac (a bit confusing!). 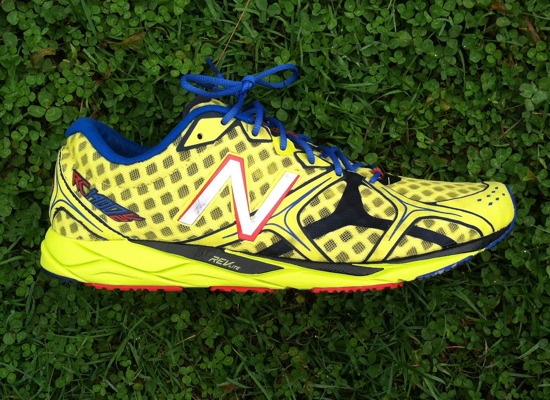 You might think of this shoe as the little brother of the Hoka Stinson Tarmac. I’ve run in every model that Hoka has produced so far (Bondi B, Bondi Speed, Stinson Evo Tarmac, Stinson Evo, and Mafate). The Kailua Trail up to this point was my favorite Hoka. In fact, I saw photos of Karl Meltzer wearing a pair during the recent Hardrock Hundred Endurance Run. Being a fan of Hoka shoes, I had to acquire the road Kailua to see what it was all about. Hoka is known for its big, super cushioned running shoes while other companies seem to be intent on trimming shoes down. The Kailua Tarmac was meant to be a “road racing Hoka” – it’s definitely not a racing flat in the traditional sense, more of a Hoka take on a road racing shoe. The first thing one will notice about this shoe is that it is not as big or bulky looking as other Hoka shoes. It has the same chassis as the Kailua Trail and the upper has mesh with welded overlays with a tongue of thin suede-like material that is similar to that on the Stinson Tarmac but thinner and softer. The shoe comes with a 2mm Ortholite insole that is flat with no contour (see photo). I swapped this out for my Foot Balance insoles and there was more than enough room. I’ve found the upper to be reasonably breathable, and I’ve had no issues in temps of 90 degrees (both dry heat and in humidity). The midsole is blown EVA, but only 1.5x volume compared to 2x volume for other Hoka shoes. For example, my Bondi Speed has 35 mm of midsole in the rearfoot and 30 mm in the forefoot. The Kailua Tarmac has 26 mm in the rearfoot and 21 mm in the forefoot. With this reduced volume it comes as no surprise that the Kailua Tarmac weighs less as well. My unscientific test showed about 0.75 oz less weight for the Kailua Tarmac versus my Bondi Speed (both size 11.5). This is about the same as my Kailua Trail. The outsole is smooth, similar to its big brother the Stinson Tarmac. I ordered a size 11.5 since that’s the size I’ve worn in every other Hoka I own – they fit perfectly. With Drymax thin socks the shoe fits great. I put some thicker socks on and there was still enough room, unlike the Kailua Trail which felt a little snug with thick socks. With thicker socks I’d move up to a size 12 in the Kailua Trail. The Kailua Tarmac is a bit narrower than the other Hoka shoes in the rearfoot area as this is a “racing Hoka.” The shoe had ample room in the toebox, however, not as much as my Bondi – it did feel a bit roomier up front than the Kailua Trail. The midsole extends up and around the upper to create what Hoka calls their “bucket seat” for the foot. I had no slippage issues in the heel area on this shoe. The shoe comes with regular laces, which I found a bit strange. Why does the trail shoe have speed laces and this road shoe (that could be used by triathletes) not have them? That said, I felt I could get a better fit with the regular laces than with the speed laces of the Kailua Trail. The shoe is far more flexible than other Hoka shoes and the rocker effect, while less pronounced, is still there and does allow one to get “on their midfoot” a bit more. This is the same sensation as with the Kailua Trail. I’ve taken seven runs with the Kailua Tarmac, mostly on the road, but threw in a trail run just to see how they would work (45 miles total). While the shoe is still well cushioned (it is a Hoka after all), it doesn’t have that plush feel of my Bondi Speeds. The midsole feels firmer than the Bondi but in my opinion it has better cushioning than the adidas Energy Boost shoe. 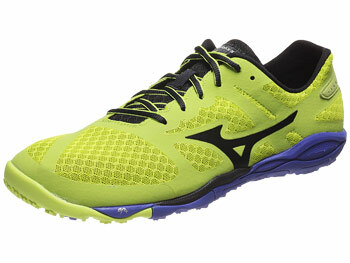 This shoe is billed as a performance shoe and has 9mm less cushioning than the Bondi. The forefoot is more flexible like a normal running shoe. Running at faster speeds the shoe felt great. It is absolutely fantastic on the road with a very smooth feel. It has a much better road feel than the Kailua Trail and dare I say it feels a bit more cushioned. On the trail it did ok but it did not have the traction of the Kailua Trail and would not be useful for anything other than well groomed trails. Running uphill was great and similar to the feel I had with the Kailua Trail, and coming downhill the cushioning was adequate and it protected my knees. I wondered if this shoe would be as stable as the Kailua Trail and I can report that it was very stable and I had no issues. I really like the Kailua Tarmac and it has become my “go to shoe” for my road workouts. This shoe has all the things I like about Hoka shoes in a performance package: cushioning, stability, and it protects my knees.This shoe has a little less of the “Hoka cloud” feel, but adds more flexibility, less weight, and smooth performance oriented feel on the road. I think it’s a real winner and will give Hoka wearers and others a shoe they could race in on the road. The women’s Kailua Trail and Kailua Tarmac are now available for purchase at Zappos. 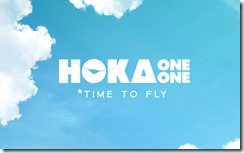 In Europe both men’s and women’s shoes can be purchased direct from Hoka. Why are these shoes getting so much air time on this site? Are they a major benefactor or something? They are ridiculous shoes, perhaps suitable for an oft-injured niche or a subsect (such as the one percent of one percent of runners who do ultras or something). To me these contradict the spirit of this site, which is minimalism, form, sensible design. Haha. 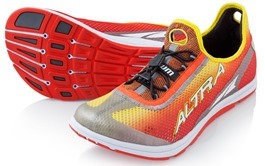 It looks like Altra is coming out with their own maximal offering, the Olympus. I actually like the way the Hokas look better, but would be willing to give either shoe a try-not that I run enough to ever need that kind of protection. Nope, I have no advertising relationship with Hoka, in fact I have no direct contact with the company as yet. I’ve only even run in the Hokas myself once. My interest is in helping people find shoes that let them achieve their running goals, and for some people Hokas are the answer to that. For one example, my own wife has been able to run pain free for several months now thanks to these shoes. She tried minimal and it did not work for her. If I ever become overly dogmatic in my beliefs about footwear in the absence of compelling evidence that one style is best for all then I’ve failed to do my job well. I will say I had the same attitude about these shoes just a few months ago, but I know to many people who have found benefit from running in them to close my mind to them as an option. It’s also worth noting that they look more ridiculous than they are, thanks to the way the mid-sole comes up around the upper. The stack-height on these is 21/26. That’s quite normal for a well-cushioned shoe, comparable to a Saucony Peregrine or Pearl Izumi N2. It’s actually lower to the ground overall than a Brooks Cascadia or a New Balance 1210. I’m no big fan of Hokas because of the price and their awful uppers and toe boxes, but their stack heights aren’t quite as absurd as they initially appear. 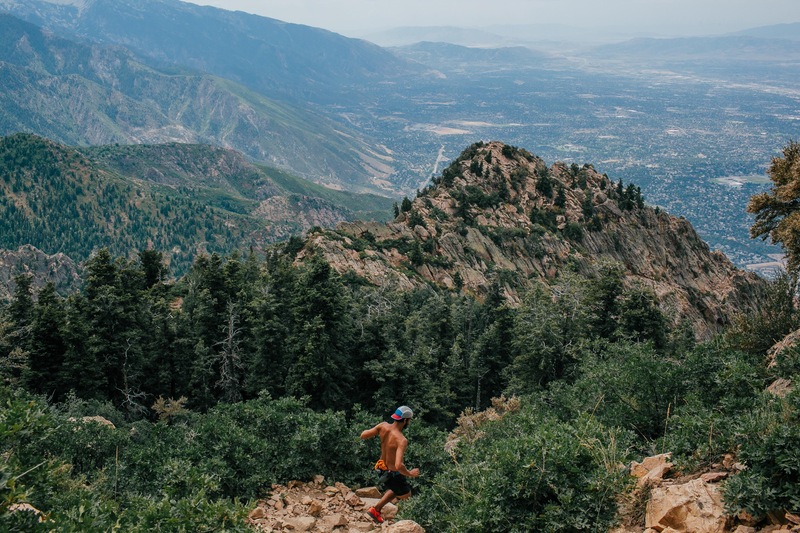 Overall, I think everyone who runs long, hard miles has come to realize that the “all cushioning is bad for you” paradigm is silly and dangerous. Higher stack heights do take some getting used to, and initially make me more likely to trip and turn my ankle, but that’s not the same as cushioning being bad for you in and of itself. Rather, the higher stack height is an unfortunate byproduct of the increased cushioning. On a separate topic, Pete: I wonder if you’ll have a chance to weigh in on the exaggerated toe spring/ rocker “technologies” that are in Hokas, Pearl Izumis, Scott Shoes, and a few others now. It seems like another new trend that flies in the face of the basic tenants of “minimalism” but may offer advantages to many people, including top runners. I’m loving the Pearl Izumi EM Road N1 – should have a review up soon. Pete, how are you finding the sizing of the Road N1 say vs. the Kinvara or the Brooks Pure Flow/Cadence? Thanks. I’m wearing a 10.5 in the N1 and it’s perfect. I recently sized up from 10 to 10.5 in Kinvaras, so similar I guess. I’ve done exactly the same in the Kinvara – from 12 to 12.5. But stayed the same in Brooks. My feet have definitely grown since using lighter, low drop shoes. Loving the Trail M2 myself. Contacted PI to see if they had plans for a Road M1 or M2, as I need the higher density foam for pronation control. Unfortunately no clues from them on lighter road stability shoes. Road M3 and H3 are too stiff and bulky IMO. If the question is can you run with good form in these shoes, the answer is yes. I had great success in my trail 50k with them. They keep you from getting beat up on long runs too. I wouldn’t race a marathon in them, but for long runs or trails my Bondi Bs work great. I’ve got a pair of these. And the Rapa Nui’s. I think both reviews are spot on. They are certainly more responsive than some of the traditional Hoka’s … but also less cushioned. It’s pretty noticeable. I ran the Paris Marathon in the Kailua’s. Comrades in the Bondi. Both decent choices for me considering the distances. 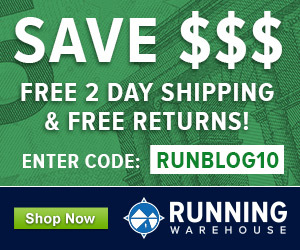 One comment on fit – I find the Kailua runs large vs. the Bondi 2. I wear a US12.5 in the Bondi 2 and US12 in the Kailua and Rapa Nui. Yep! Keeping in pretty good shape for my age 🙂 Thought best to change the pic! The whole world of running shoes just seems to be getting more and more complicated every day with no straight answer to any questions. Is there really no other solution other than “run in every shoe in the world then choose the one that suited you best”? I now feel like I have to try Hokas to see if they are better than my Mizunos. Well, given the wide range of variances in anatomy, stride length, body weight, pain tolerance, etc. among runners, the “use whatever lets you run the way you are most comfortable” seems to be a reasonable approach. Online reviews such as the ones found on Runblogger are very valuable in this regard, as that means we don’t have to go out and try every new-fangled thing that comes down the pike, but I do think reviews can be made even more useful if they provide more comprehensive physical data about the reviewers, such as their height and weight, age, number of years running, whether they’re predominantly heel or midfoot strikers, what pace they ran in the reviewed shoes, etc. That way, we can make more informed judgments as to whether or not reviewers’ experiences with the shoe might potentially apply to us. Hoka are max cushion but surprisingly easy to run in. I’d take a Hoka over a traditional running shoe if I had to choose, 4mm drop makes a big difference for me. From my one run in Hoka’s I can’t recommend the Bondi B for those with fallen arches. The “bucket seating” results in the arch area being dug pretty fiercely in to by the eva cup that wraps around the inside of the foot. My wife has the same issue with the Bondi B – we’re trying a half size up to see if it helps. The EVA lip is a problem and the upper tore right along it.